We know it’s hard to start thinking about fall and winter clothes when it’s still hot outside, but that doesn’t mean you can’t have fun planning out your new-season wardrobe in advance! If you’re looking for a little guidance, why not take cues from Carolyn Murphy, one of the most seasoned fashion veterans out there? The supermodel did a style questionnaire with Vogue, revealing what’s on her wish list for fall: “Velvet boots by Miu Miu, a Max Mara coat, and a crushed mustard velvet Valentino dress,” she told the glossy. 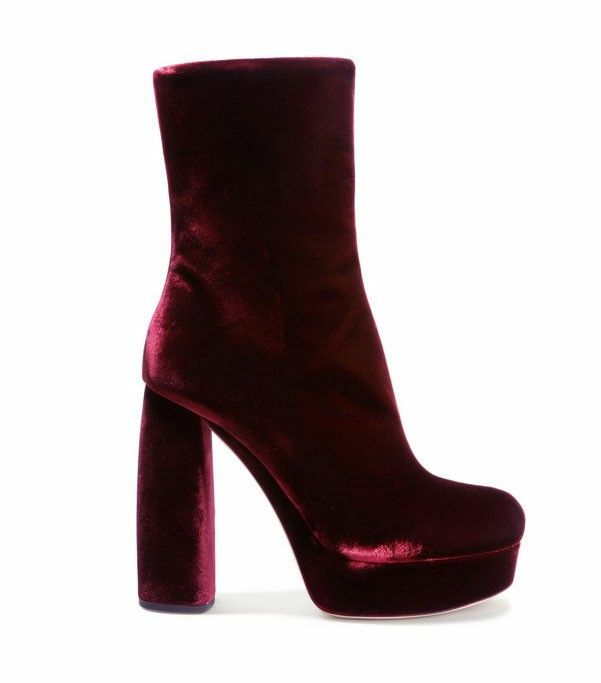 If you’ve been paying attention to Who What Wear recently, you know that velvet is already shaping up to be one of the biggest trends for fall. For starters, Kendall Jenner experimented with velvet via cool ankle boots, and Hailey Baldwin tried out the trend with a pretty tank dress. Now, with Murphy’s seal of approval, we’re positive velvet has staying power this fall. Scroll down to shop Carolyn Murphy’s fall picks, according to her Vogue interview! Pair these pretties with cropped denim flares. A camel coat will always be in style. Test-drive the velvet trend in a vivid hue like this punchy yellow one. What’s on your fall wish list? Tell us in the comments below!